More information on the categories can be found at Award Criteria and Guidance. The Heritage Angel Award Criteria and Guidance will help you to complete your application. If you have any questions please do not hesitate to E: [email protected] or T: 02890 550 213. Please complete the entry form below. If you need to save the form, and continue later you can do so at the bottom of the form. 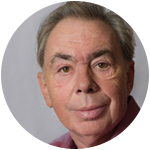 For example, is it a colleague, friend, local contact or yourself? This could include: address of project; name of research project or campaign; website if there is one; Facebook or Twitter details; or any information that may be relevant. Before completing the next section, please refer to the Award Criteria and Guidance as this is what your application will be judged against. Any text submitted should be written by you and may be widely published by Ulster Architectural Heritage or other media. (Please see terms and conditions). Ulster Architectural Heritage reserve the right to enter you into a different category if necessary. Photographs should be in jpeg format and each should be at least 300 dpi but no more than 2MB in size. 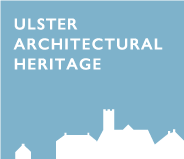 Any photos submitted may be widely published by Ulster Architectural Heritage and other media. (Please see terms and conditions). I have read and agree to the terms and condition of this competition. I have permission to pass on personal information of the person(s) I have nominated. I would like to be kept informed about the Angel Awards in future years. Alternatively download the entry form here, and email to [email protected] Remember to attach at least 3 (maximum of 6) photographs. Please ensure that you press submit, and receive a notification that your form has been processed. Ensure all mandatory fields are completed to enable submission. If you have any issues using this form E: [email protected] or T: 02890 550 213. Personal information gathered for the Angel Awards is processed securely by Ulster Architectural Heritage and successful project details are held on our systems for a period of eight years.